The Robaga Rounded Family is a sans serif family with a smooth, rounded look. The family consists out of multiple fonts. This is the Robaga Rounded Bold which also comes with an italic version. 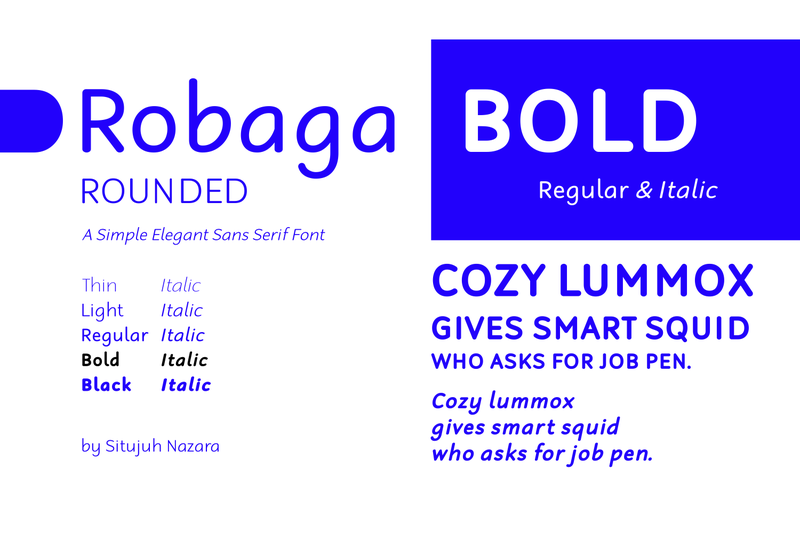 You can view all fonts of the Robaga Rounded Family here.